Active Directory domain privilege escalation is a critical component of most penetration tests and red team assessments, but standard methodology dictates a manual and often tedious process – gather credentials, analyze new systems we now have admin rights on, pivot, and repeat until we reach our objective. Then, and only then, we can look back and see the path we took in its entirety. But that may not be the only, nor shortest path we could have taken. By combining the concept of derivative admin (the chaining or linking of administrative rights), Active Directory object control relationships, existing tools, and graph theory, we have developed a capability called BloodHound, which can reveal the hidden and unintended relationships in Active Directory domains. 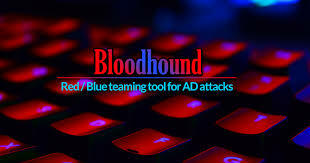 BloodHound is operationally-focused, providing an easy-to-use web interface and PowerShell ingestor for memory-resident data collection and offline analysis. Download and install neo4j community edition. Optional: configure the REST API to accept remote connections if you plan to run neo4j and the PowerShell ingestor on different hosts. Clone the BloodHound GitHub repo. Start the neo4j server, pointing neo4j to the provided sample graph database. Run BloodHound.exe from the release found here or build BloodHound from source. Authenticate to the provided sample graph database at bolt://localhost:7687. The username is “neo4j”, and the password is “BloodHound”. You’re now ready to get started with data collection! Run BloodHound from the release found here or build BloodHound from source. Run the BloodHound App from the release found here or build BloodHound from source. Who is logged on where? Who has admin rights where? What users and groups belong to what groups? (Optionally) What principals have control over other user and group objects? In most instances, collecting this information does not require Administrator privileges, and does not require executing code on remote systems. The PowerShell ingestor, based on PowerView, makes data collection fast and simple. The ingestor is located in the BloodHound repo at /PowerShell/BloodHound.ps1. For more options, see this great blog post from NetSPI on 15 different ways to bypass PowerShell execution policy.